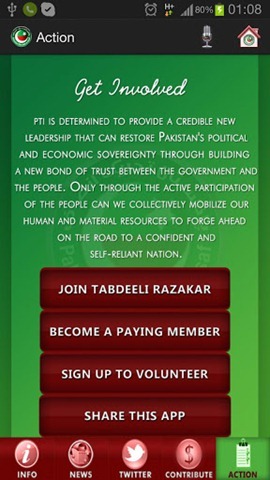 Have you tried out the Official PTI Android app? “Just what the doctor ordered”, I say to myself as I install this app on my Andorid phone. Phew! 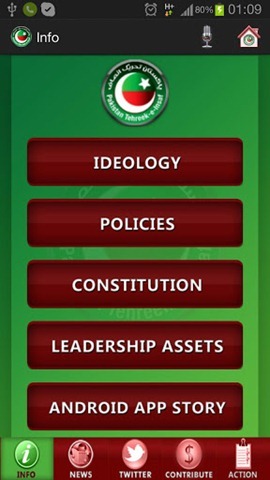 All things Pakistan Tehreek-i- Insaf (PTI) on your Android device now. Works with devices running Android 2.2 and later versions. It’s amazing, simply amazing. Please read on for more info. 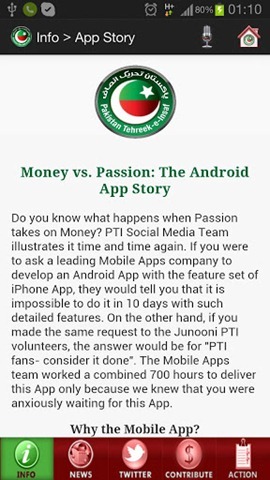 Read the PTI Android app story. 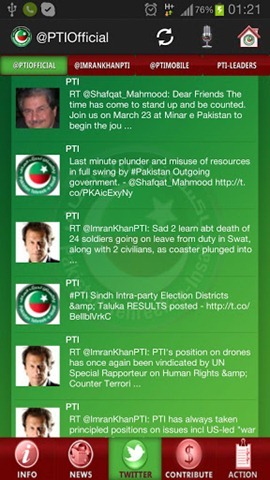 Read live tweets and follow them. 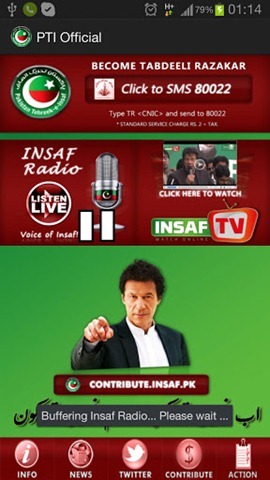 Click here to download the official PTI Android app from Google Play.